Here’s another food company championing the cause of vegans, who are so often denied the experience of many comfort foods: Follow Your Heart, the makers of surprisingly authentic alternatives to cheese and eggs . The people at Follow Your Heart say that their cheese is the kind you want to eat straight out of the package, and probably will. Their inaugural product for the market was the highly successful Vegenaise, the original egg-free mayonnaise. 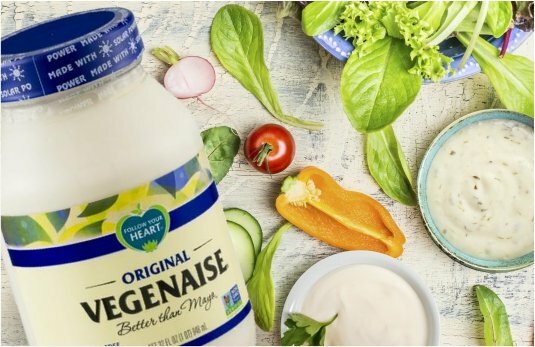 This month, we’re featuring Follow Your Heart Vegenaise, Original Dairy Free, Soy Free, and with Grapeseed Oil.